We know that hydration is important. Rather than buying bottled water or purchasing coffee from coffee shops, it is better to carry it from your own home with your own water bottle/mugs etc. Aside reducing the plastic and paper cup wastage, we can also save some bucks. There are many options available, so let us help you by introducing two of the most popular brands in the market; they are Hydro Flask and Contigo. Hydro Flask is a brand of vacuum flask water bottle manufactured by the same name company. The company was initially founded by a couple Travis Rosbach and Cindy Morse in 2009 inspired by an event where the water inside their bottle becoming lukewarm after spent a day in the beach. The company has been sold to an investor and until now the company is striving to bring new and innovative to their customer. Hydro Flask is very famous and has been included in countless article in magazines and received awards from various magazines from 2013 to 2017. Hydro Flask currently offers various vacuum insulated water bottles, related accessories and even apparel. They have water bottles that is divided into wide mouth, standard mouth, and kids. They also have tumblers, coffee Flask, beer and wine Flask, and food Flask. Even though all of them have different names, you can practically use any kind of Hydro Flask bottle to store your water. If you are interested on Hydro Flask bottles, read our article on Hydro Flask Wide Mouth vs Standard here. All of Hydro Flask vacuum insulated bottles are using their proprietary technology called the TempShield. This technology is utilizing two layers of materials to keep the temperature inside the bottle stay longer. The claim is that it can keep the temperature as long as 12 hours for hot water and 24 hours for ice cold water. With this technology, you can enjoy your favorite beverages how it should be. All of Hydro Flask bottles are made with high quality 18/8 pro grade stainless steel and BPA free, so you don’t have to worry about taste transferring or the drink accidently altering your genetic makeup. You also don’t have to worry about heat transfer or your bottle sweating when carrying cold beverages, because Hydro Flask coat their bottles with their signature powder to prevent such issues. The one we put as an example in our picture above is the 12 oz. Coffee Flask. Unlike the water bottle, Coffee Flask only comes in narrower range of variants. They only available in 4 sizes, but they still comes in the same wide range of colors. All of those variants are 12 oz. Coffee, 16 oz. Coffee, 20 oz. Coffee, and WSL 20 oz. Coffee. Hydro Flask Coffee Flask also has a few color added to its collection, such as Flamingo, which appeared in our example above, Blueberry blue and olive. Unlike the water bottle, Hydro Flask Coffee Flask only has one lid option; this might be because it was designed to store coffee liquid. 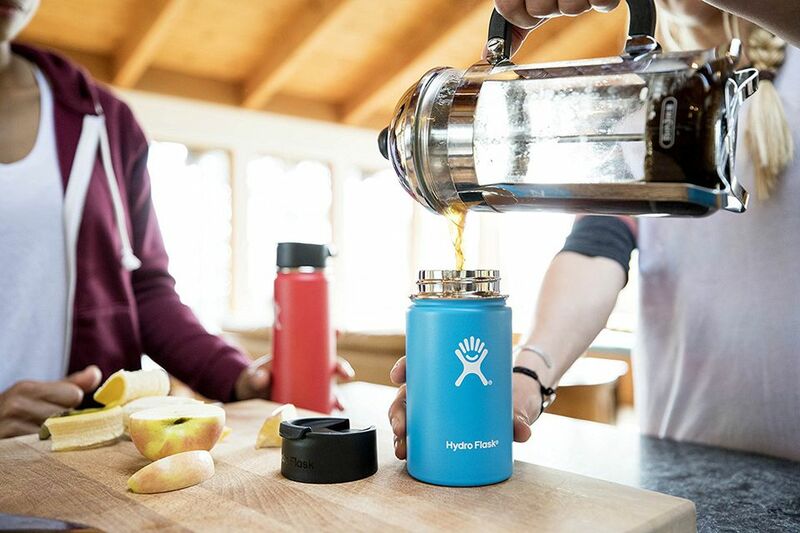 Hydro Flask Coffee Flask was designed to fit under most of coffee brewing systems and aside from using it to carry your coffee from home; you can also use it when drinking at coffee shops to lessen paper cup waste, because the 12 oz. will fit most coffee shop’s small size coffee. Contigo is a brand of water bottle manufactured by Ignite USA, which headquartered in Chicago. This company main activity is designing, manufacturing and marketing beverages containers. This company now is own by Newell Brands and operates as subsidiary of Newell Rubbermaid after it was sold in 2014 for about $125 million. Contigo is known for their simple, yet functionally innovative and environmentally friendly drinkware. The company recently developed their full line of travel mugs and water bottles including kids bottles with their patented technology called the AUTOSEAL technology. Contigo currently offers their customer various water containers, such as mugs, water bottles, shaker bottles, kids and tweens bottles, and related accessories. The most popular line of them all is the mugs line. This line contains mugs with different sizes and features. 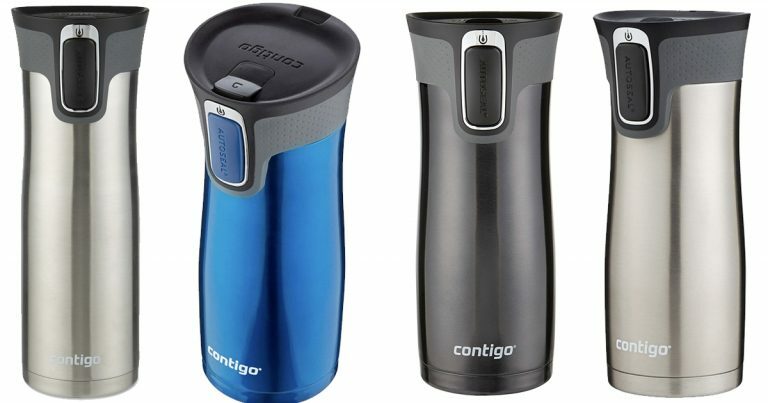 Contigo divided their mugs into three categories depend on the main feature, such as AUTOSEAL Technology, SNAPSEAL Lid System, and THERMALOCK Vacuum Insulation. The one we put in our example picture above is the AUTOSEAL West Loop Stainless Steel Travel Mug in 16 oz., which is the most popular product from Contigo. Inside the AUTOSEAL, you can pick between the mugs with handle or without handle, they also provide various sizes start from 16 oz. to 20 oz. while it the THERMOLOCK part, you can pick until 24 oz. size. Aside from Stainless Steel, the one on our example also available in other colors, such as black and radiant orchid. AUTOSEAL West Loop was designed to be used while commuting or traveling particularly in an urban environment. Whether it is via car, train or other transportation vehicles, the mug is made to be convenience in such situation. With AUTOSEAL Technology, these mugs are spill-proof, so you don’t have to worry when drinking while moving, it also keeps your beverages and maintains its temperature for hour for you to enjoy. Other technology included in Contigo’s products are SNAPSEAL, which will make the bottle leak proof, so you will not have to worry about staining your clothes. The THERMALOCK Vacuum Insulation, promised you to keep your beverages stays hot for up to 7 hours, while it can stay up to 18 hour for cold water. With this technology, you will be able to enjoy your beverages as warm or as cold as they should be. In the water bottles line, you will found AUTOSPOUT Technology, which will make your hydration easier jut by a simple push of a button. While in Shaker bottles line, you will find the AUTOCLOSE Technology, which makes your mixing easier as the little lids where you put straw will close automatically when straw is removed, preventing your beverages to leaks from it. 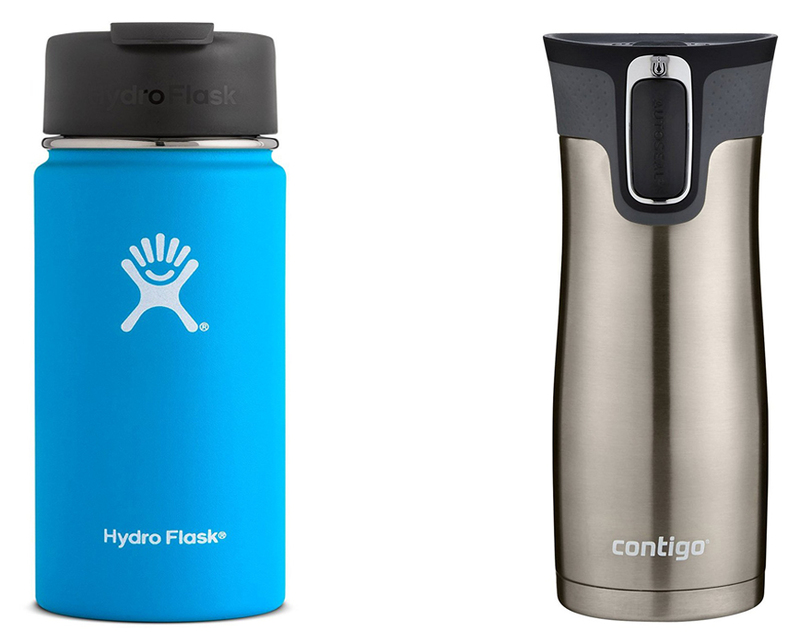 Now, let’s compare and see the difference between Hydro Flask and Contigo. Aside from their appearance they do have some differences. The most prominent difference between both of them is their capability in keeping the temperature inside the container. Hydro Flask is capable of maintaining hot beverages for 12 hour maximum and cold beverages for 24 hours maximum while Contigo only able of keeping hot water for 8 hours and cold water for 12 hours maximum. Another difference is Hydro Flask using the same TempShield Technology in all of their containers while Contigo only use their THERMOLOCK Technology in some of their containers. All in all, the decision is yours to make. You may base your decision on what kind of water bottles/containers you want. If you are doing most of your activity outside or you prefer sporty design we will highly recommend you Hydro Flask, since the design is very simple and the ability of keeping water temperature inside is better than Contigo.